Our 25 km of supervised, golden, sandy beaches, and cove at the foot of the volcanic cliffs, provide ample opportunity to relax. Exclusive, safe, comfortable surroundings, sports and beach activities - everything you need for seaside fun! Put your trust in the hands of our water sports professionals and join in the aquatic fun. Make the most of your trip and try out these family-friendly activities or take a walk along the beach and unwind watching a beautiful sunset. Experience the benefits of balneotherapy and enjoy a choice of spa treatments to help you find inner peace. Wander around the side streets and discover the charm and distinctive atmosphere of these towns and villages steeped in history with their town houses, churches and museum treasures, including the historic Brescou Fort. If you want to learn about our history and hear some local stories, why not take one of the guided tours organised by the Tourist Office Heritage Centre. Observe local craftsmen at work in Agde and Pézenas. And get creative! Step inside the artists’ studios, tucked away in the maze of side streets, where you can meet some of these men and women (link to arts and crafts). They’ll be delighted to share their love of their craft with you. Unless you prefer second hand shops: a vast range of places, each more interesting that the last, await you in Pézenas’ antiques district. Visit our village festivals and dance with some of our spirit animals who’ll take you on a tour of our traditional art and crafts. Make the most of your trip by exploring the variety of landscapes:the Canal du Midi, the seaside volcano, the banks of the river Hérault, the forest of Bessilles and its various outdoor activities, the bird sanctuary at Bagnas National Nature Reserve, the extraordinary biodiversity of the Grande Maïre and, of course, the beauty of the pristine coastline, especially the Protected Marine Area on the coast of Agde, which boasts a rich variety of underwater flora and fauna. There are a range of activities on offer, from water sports to outdoor activities. 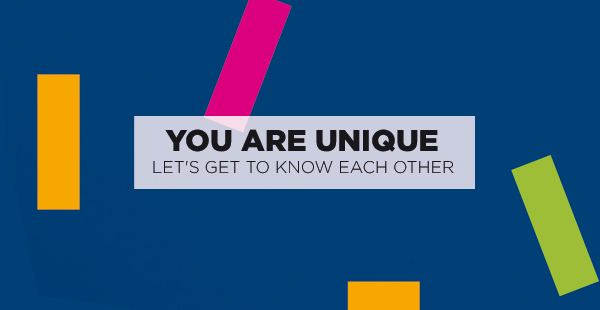 You're bound to find something to suit all interests - starting with your own! This unique region, which boasts 3 AOC and 5 IGP quality labels, is proud of its diverse range of terroirs: volcanic soil, sandstone, limestone, sand and pebbles. The influence of the sea helps create crisp, supple, elegant wines whereas, inland, the garrigue produces full-bodied, powerful and generous wines. You can discover our wines and meet our wine-growers at special wine events, at local markets, in the wine estates or during a vineyard stroll. The naturist village of Cap d'Agde, renowned throughout Europe, offers a wide range of breaks, catering for all tastes, just a few metres away from a large sandy beach. Here, sunset doesn't signify the end of the day but rather marks the start of a riot of evening entertainment. Parties, shows, theatre, concerts, festivals, casino, cinema and theme parks etc. Craftsmen and winegrowers await you at the summer evening fairs and markets. Along the ports and beaches, bars and restaurants twinkle late into the night. Later on, the clubbing mood takes hold, with DJs spinning tracks, in discos, clubs and after-parties, that get the dance floors gyrating. 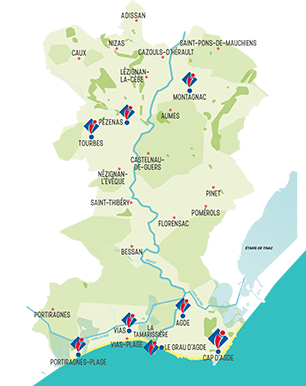 There are thousands of things to do, visit and discover just a few kilometres away: the Pays du Thau region, Sète, Lake Salagou, the Hérault gorges, Saint-Guilhem-le-Désert, Béziers, engineering structures along the Canal du Midi, Carcassonne, Uzès, le Pont du Gard, Montpellier, Nîmes etc. 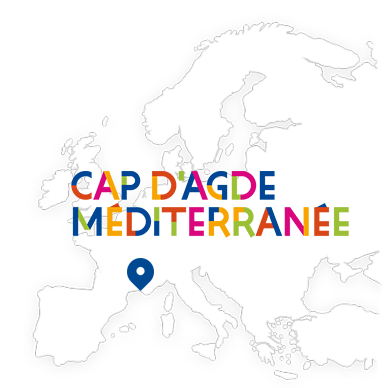 Cap d'Agde Méditerranée offers an extensive programme of events, whatever the season. Themed weekend festivals, fairs, flea markets, musical cruises, sporting competitions ... It’s a difficult choice: wine, cinema, opera, theatre, jazz, children’s literature, motorbikes, water sports, chocolate, tennis, golf, jet skiing etc. So now you’re all set for a holiday guaranteed to be unforgettable - just like you!